According to researchers, 60 to 90 percent of children in industrialized nations are affected by tooth decay or cavities. But scientists from the Athlone Institute of Technology in Ireland found that coconut oil which had been treated with enzymes stopped the growth of Streptococcus bacteria–a common cause of tooth decay. Also, enzyme-treated coconut oil inhibited growth of Candida albicans that causes thrush, a yeast infection characterized by whitish, velvety sores in the mouth and tongue. 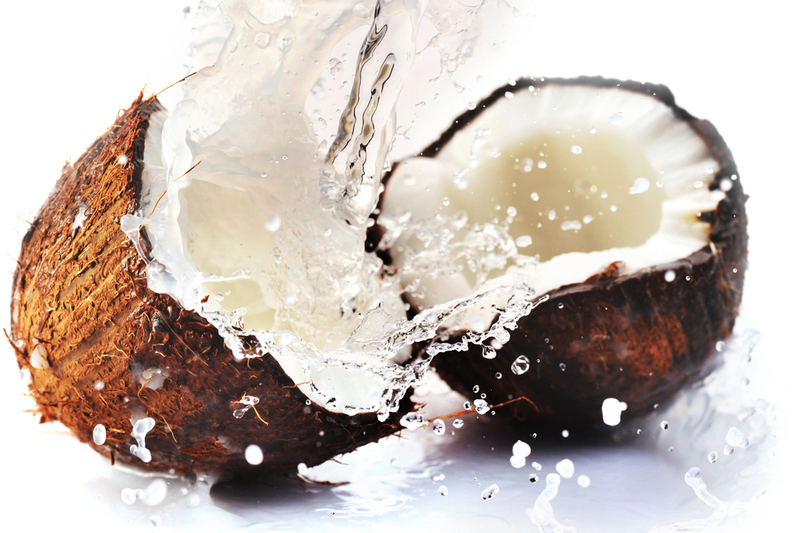 “Incorporating enzyme-modified coconut oil into dental hygiene products would be an attractive alternative to chemical additives, particularly as it works at relatively low concentrations. Also, with increasing antibiotic resistance, it is important that we turn our attention to new ways to combat microbial infection,” said lead author Dr. Damien Brady from Athlone Institute of Technology (AIT). This use of coconut oil in dental care products such as toothpaste and mouthwash could be an attractive alternative to current chemical additives. The nice aspect of this is coconut oil may be selective by leaving healthy bacteria in place to help protect your teeth, rather than the typical broad spectrum products that indiscernibly wipe out all of your mouth’s bacteria. We will keep you updated as more research is published. If you have any questions or concerns please feel free to contact us. The study was presented at the Society for General Microbiology’s autumn conference at the University of Warwick. 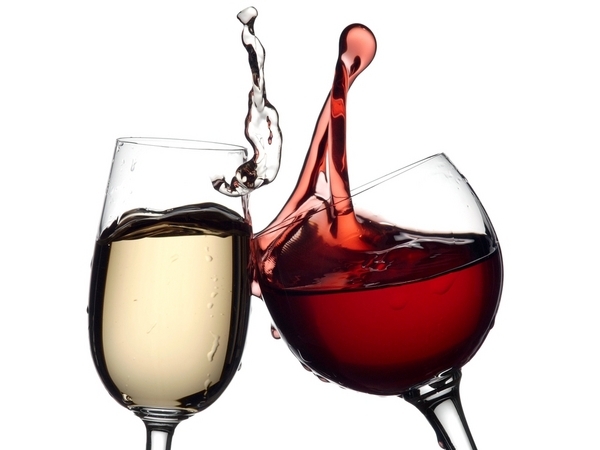 Dentist Dunwoody: Red or White Wine? Red or White Wine, to be or not to be? After a long day hard at work, a glass of wine may just be what’s in order. Well, white wines just can’t catch a break. Interestingly enough, white wine turns out to be a lot worse than red wines for teeth. And yet, it’s not the alcohol in the wine, but the acidity of the wine. Apparently, the acid content of white wines like Chardonnay or Riesling destroys tooth enamel much faster than reds like Cabernet. And to counter this effect, white wine drinkers are recommended to munch on cheese, which supplies calcium to counteract the wine’s effect. Essentially, consuming wine with food means the saliva you produce as you chew helps to neutralize its acidity and limits its erosive potential. In addition, you need to leave some time between drinking white wine and brushing teeth to give your enamel a chance to recover from the acid attack. Another recommended solution, might be to chew xylitol gum to make the enamel less susceptible to being brushed away. Now red, with all its great antioxidant benefits doesn’t get off the hook. The red wines can stain your teeth. And according to the Mayo Clinic, research studies regarding the benefits of red wine in preventing heart disease have had mixed results. The evidence still isn’t clear whether red wine has more heart benefits than white wine or even beer. Whether you choose to drink red wine or white may just be a matter of preference. And while there may be benefits to drinking wine, you should do so in moderation. The risks of drinking too much of any alcoholic beverage can easily outweigh the good. http://www.newser.com/story/72188/white-wine-hurts-the-choppers.html , according to a German study of human teeth soaked in various kinds of wine. The Mayo Clinic states that moderation is defined as two drinks per day for men and one drink for women. Is a dental spa more about building confidence or changing lives? 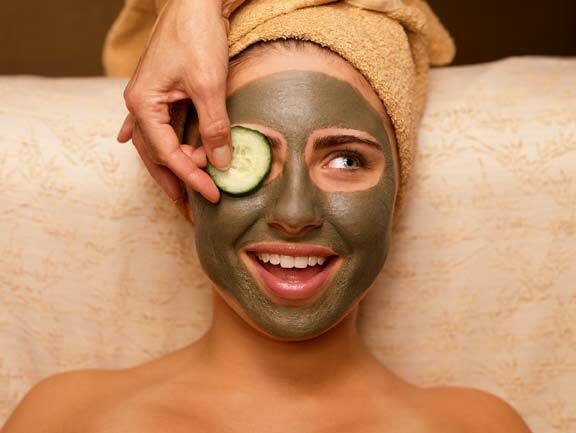 While you get your dental work done, do you want a facial? Ancient civilizations such as the Greeks and Chinese all used certain methods to relax a person suffering from ailments such as a toothache. The “barber surgeon” in the 18th and 19th century allowed barbers to perform some dental procedures as well as shaves and haircuts. The term “spa dentistry” (presently synonymous to dental spa) was actually used in the 18th century to describe dental practitioners in Bath England. Dr. Curris, a female dentist in 18th Century Bath England likely created the first dental spa offering patients dentistry with skin and bodycare. The terms, “dental spa” and “spa dentistry,” began to be more publicly used in the late 1990s. In 1998, Lorin Berland DDS, reserved the name DallasDentalSpa.com. An estimated nine to fifteen percent of the American population—about 30 million to 40 million people—avoid essential dental care because of fear or anxiety. Although there are many variations, adapters of the dental spa concept generally offer cosmetic, general and restorative dentistry with a key focus on making the visit a pampering and pleasant experience. But does it really work? The Laboratory for Developmental Genetics at the University of Southern California has confirmed cytomegalovirus (CMV) as a cause of the most common salivary gland cancers. The findings, published in the journal Experimental and Molecular Pathology, are the latest in a series of studies by USC researchers that together demonstrate CMV’s role as an oncovirus, a virus that can either trigger cancer in healthy cells or exploit mutant cell weaknesses to enhance tumor formation. Researcher and author Michael Melnick, professor of developmental genetics in the Ostrow School of Dentistry of USC, said the conclusion that CMV is an oncovirus came after rigorous study of both human salivary gland tumors and salivary glands of postnatal mice. This study illustrates not only that the CMV in the tumors is active but also that the amount of virus-created proteins found is positively correlated with the severity of the cancer. This should be a most productive area of investigation for a long time to come. April is Oral Cancer Awareness Month and we offer free examinations. Please give us a call and make an appointment. “Human Cytomegalovirus and Mucoepidermoid Carcinoma of Salivary Glands: Cell-Specific Localization of Active Viral and Oncogenic Signaling Proteins is Confirmatory of a Causal Relationship,” was funded by the Oral Biology Fund of the Ostrow School of Dentistry of USC. Every year in the U.S., over 40,000 people are diagnosed with oral cancer. Unfortunately, oral cancer doesn’t always present symptoms in the early stages. That’s why it’s important to get screened annually. When detected and treated early, oral cancer patients have a nearly 90% survival rate. So please make an appointment to see your dentist if you have any of the symptoms described above. It really could save your life. We offer free screening to anyone during the month of April. We think every little bit counts and would like to give back to the community where we can. So if we can be of assistance please feel free to contact us and make an appointment. Almost 70 percent of adults between the ages of 35 and 44 have lost at least one permanent tooth to an accident, gum disease, a failed root canal or tooth decay. Furthermore, by age 74, 26% of adults have lost all of their permanent teeth. These are amazing statistics about the status of oral health. Twenty years ago, these patients would have had no alternative but to employ a fixed bridge or removable denture in order to restore their ability to eat, speak clearly and smile. Fortunately, today there is a viable option for patients who are missing permanent teeth – dental implants. Rather than solutions resting on the gum line like removable dentures, or destroying adjacent teeth to anchor fixed bridges, dental implants are long-term replacements that truly function like your natural teeth. Also, just as important, they preserve your underlying jaw bone structure. Whether you are a young, middle-aged or an older adult; whether you need to replace one tooth, several teeth, or all your teeth, there is a high probability there is a dental implant solution to your situation. 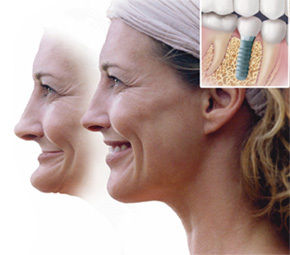 Your implant can be placed in our office. So what are you waiting for? Contact us for your complimentary consultation. c. the dentist’s training and experience. Insurance may pay part of the cost if it’s obviously needed for medical reasons, but usually crowns are covered only on a limited basis per year. Crowns are made of gold, porcelain, resin or porcelain-fused-metal. The crown covers the entire surface of a tooth, adding strength, durability and stability. This usually requires two office visits; first to prepare the tooth, make an impression and install a temporary crown. The impression is sent to a dental laboratory or manufactured in-house with the use of a CAD aided milling machine to create the permanent crown, which is installed during the second appointment. There’s often an initial office visit ($65-$102) and X-rays ($85-$135). One must not forget that there are additional costs that contribute to the overall price involved in crowns which are beyond the patient’s control. A large share of undervalued costs goes toward the treatment itself, lab and production costs for the crown, aftercare and the like. With proper care a crown may last 10 or more years. Depending upon the general wear and tear, it could last indefinitely. With somewhere between 10 and indefinitely, the investment becomes rather modest, if not inexpensive. And to some degree the location of the practice. 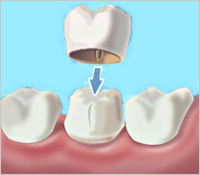 Depending on the customers’ needs and wishes, partial and full crowns made of various materials may be utilized.